Home / venezuela / The BVC negotiated more than £ 7.47 billion during the week. The BVC negotiated more than £ 7.47 billion during the week. 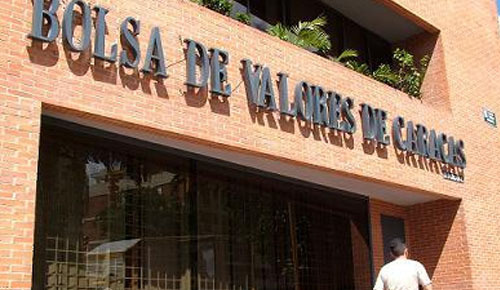 Caracas.– Caracas Stock Exchange (BVC) reported that it closed 957,000 870 bolivars in a week for negotiations of $ 747 million. In its most recent bulletin, the agency said it has operated 43.1 million private-sector companies in Venezuela with 1,145 sales and purchasing operations during that period. He also reported in the report that the forward market business was completed for 399.53 million Bolivars after trading 357.9 million shares in 44 businesses. The leading index of the Caracas Stock Exchange (IBC) closed at 10.318.79 points, including 8,833.81 points, between April 8 and December with a fluctuation of 265.92 points. It refers to the document, meaning a 26.81% increase in succession of ascending lines in 2019. The top 10 stocks traded this week were Fondo de Valores Inmobiliarios B (£ 4.55m), Banco Nacional de Crédito (£ 896m), Manufacturas de Papel Manpa Carabaso Ceramics (486.00 B / S) ), Mercantil Servicios Financieros (Bs 325.95 million), Caracas Stock Exchange (Bs 230.06 million, Mercantil Servicios Financieros B (Bs. Banco Provincial (78.8 million), Venezuela Containers (60.41 million), Siderúrgica Venezolana Sivensa (42.18 million) have. In addition, the list of listed cement plants (Bs 38.8 million, Industrial Energy Corporation (Bs 3,040 million), Western Discount Bank (Bs 2516 million), Ron Santa Teresa (Bs 25.7 million), CA Nacional de Teléfonos Cantv (£ 15.78 million) and Corimon (£ 14.12 million). Banco Mercantil Servicios Financieros A (+ 26.09%), Banco Provincial (+ 18.75%), Venezuela Container (+ 18.18%), and Venezuela Container (+ ), Santa Teresa Rum (+ 16.67%), National Credit Bank (+ 9.09%), Progro (+ 8.26% Venezuela (+ 7.69%) and Western Discounted Bank (+ 6.75%). Other beneficiary certificates were Palo Grande Looms (+ 2.47%), (+ 8.24%) and C.A. Venezuela (+ 1.88%), Corimon (+ 1.84%) and Podo de Valle in Mobile Rio Rios (+ 1.16%). In fixed income, commercial papers have been negotiated 360 Bolivars at 246 million 845,000 in 12 jobs. The leading index of the Caracas Stock Exchange (IBC) closed at 10,318.79 points on Friday and fluctuates by 1,061.99 points (11.46%) compared to Thursday, April 11. Meanwhile, Diario de la Bolsa reported that the Financial Services Index ended 18,033.12 points (+ 12.16%) and the Industrial Index ended 4,347.94 points (+ 8.14%). La Beba Rojas went back to the bikini and the Internet revolution (+ photo).